You can read more about MŪN’s philosophy by going here. I’m going to give you fast high-lights of their approach because let’s face it… we busy. 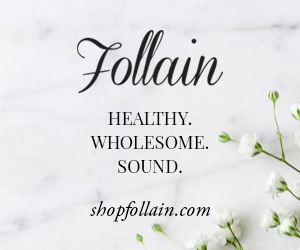 Not only does MŪN uses the finest ingredients sourced in pristine conditions, they strive to source materials in the most sustainable ways possible. MŪN partners with women’s co-operatives in Morocco that produce Prickly Pear Seed, Argan, and Olive Oils. Profits from the co-op support the educational rights of these women. There are a few things that initially drew me to MŪN. Ultra-chic packaging (I’m a sucker for it), Hawaiian roots, and Morocco. Having visited Morocco myself I love the value, beauty and quality of sourcing ingredients from there. If you ever have the chance, go and I highly suggest spending time in the Berber communities (and buy rugs…lots and lots of rugs). So what did I try? I’ve already told you about my love for Akwi (here and here). Naturally, I needed to try the Anarose Hydrating Rose Toner and Ayour Body Toning Serum. I not so patiently waited for this baby to arrive during MŪN’s gorgeous rebranding. Previously, I’ve tried other (non-green) rose toners and found them to be underwhelming. But let me tell you, there is nothing “underwhelming” about the Anarose Hydrating Rose Toner. Berber for “hope” the combination of Bulgarian rosewater, aloe, prickly pear, and goji berry truly help to restore the skins pH balance, soothe, hydrate, and protect with antibacterial and antioxidant properties creating soft and supple skin. Hyaluronic acid helps to hydrate and firm, while Willow bark extract, a natural source of salicylic acid, helps remove dead skin cells. Thus allowing your following skin treatments to absorb deeper into the skin and making your entire skincare routine more effective. When the toner finally arrived, I was experiencing an unpleasant reaction to a new product which I initially thought was just caused by winter. WRONG. This rose water based toner truly helped to calm and renew my skin. Because it’s intended to be a toner, not a spray, I spritzed 2-3 pumps into my hands and carefully pressed the toner into my skin instantly calm and hydrate my skin. I did this multiple times day (even at work) and saw decreased redness within a few days. Let’s quickly go back to this being a toner, not a spray. The directions printed on the box and the back of the bottle (MŪN’s attention to detail coming into play) say to use a cotton pad, and generously sweep across the face. Despite the directions, I tried misting and found myself unevenly soaked. Since my skin has fully healed, I find myself grabbing this toner nightly. You will be surprised by how much dirt, grim and makeup is residing on your face even post washing. The gentle exfoliation from the Willow Bark extract leaves my skin smooth and balanced after a days worth of makeup and grossness. And lastly, the soft rose scent is lovely. Overall, a beautiful way to end the day. I will point out the obvious. This is not cheap. Most people may quickly overlook a $65 toner. But I love using a this toner in my skincare routine. 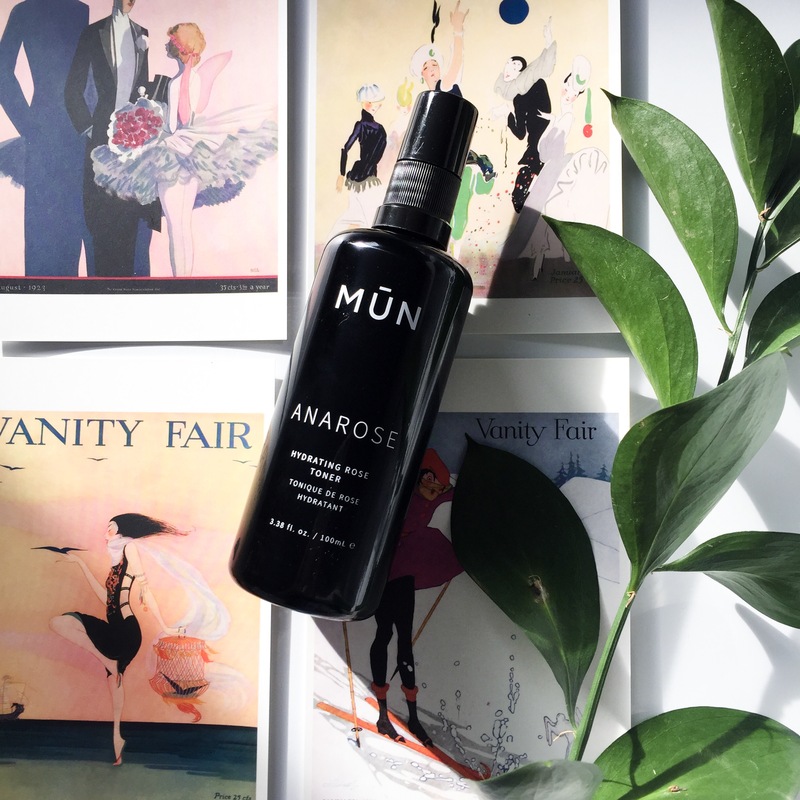 When I consider the cost per use, the sustainable sourcing, and the frequency of use – keeping the MŪN’s Anarose Toner around in a no brainer. However, if you are someone who doesn’t use a toner daily, there are less expensive options. De-ionized Water, Rose Hydrosol* (Rose Water), Aloe Barbadensis (Aloe) Leaf Juice*, Maltodextrin, Opuntia Ficus-Indica (Prickly Pear) Stem Extract, Lycium Barbarum Fruit (Goji Berry) Extract, Hyaluronic Acid, Salix Alba (Willow) Bark Extract*, Rosa Centifolia Flower Extract, Jasminum Officinale (Jasmine) Flower Extract, Bellis Perennis (Daisy) Flower Extract, Xanthan Gum, Vegetable Glycerin, Dehydroacetic Acid, Benzyl Alcohol**. 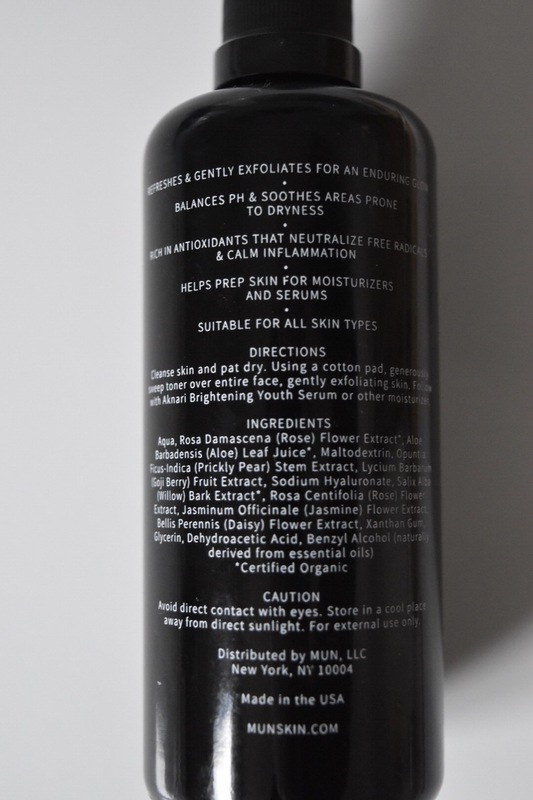 **Mun’s Benzyl Alcohol is a naturally occurring ingredient derived from essential oils of Ylang Ylang and Jasmine. It is an aromatic alcohol that functions as a preservative to prevent mold, bacteria, and microbial growth. I will tell you fast absorbing is right and Ayour has a dry finish leaving your skin smooth to the touch, instead of heavy with oil. Made with Moroccan Olive oil and Cucumber seed oil to fight free-radicals and decrease inflammation, both also brighten and even out the skin tone. The brightening ingredients don’t stop there, Rosehip and Prickly Pear Seed oil are both antioxidants with brightening properties that protect against aging (stretch marks and wrinkles). The fragrance of any skin/body product is important to me and… I’m a sucker for anything with neroli. It smells incredible and acts as an antioxidant that diminishes stretch marks and scars. The combination of neroli, rosehip and frankincense create an herbal, earthy aroma, with the slightest touch of lavender to calm the mind. If I were judging on scent alone, this would be a 10/10. This powerful body serum can be used on damp or dry skin. I prefer to use this on damp skin to lock in moisture and maximize benefits. I house this bottle in my shower as a helpful reminder to use this before toweling off. In the two weeks I’ve been using Ayour I haven’t noticed any significant brightening, but rather healthier and more radiant skin. My skin feels hydrated throughout the day and even as far to the following morning. As a side bonus, the small bumps on my upper arms have disappeared. I don’t have stretch marks, but I do have lovely cellulite on the back of my thighs. I pay extra close attention to this area. Is it working? It’s hard to tell. Combined with my sudden sense of working out (yay New Year’s resolutions) and a daily Ayour thigh massage, it seems like my cellulite is slowly diminishing but then again my boyfriend isn’t the best judge here. Ayour Body Toning Serum costs $75, coming out to roughly $22 per ounce. Ouch. I’d like to use this for longer period of time before deciding if this will be a repurchase since I’m not a “dedicated” body-product user. 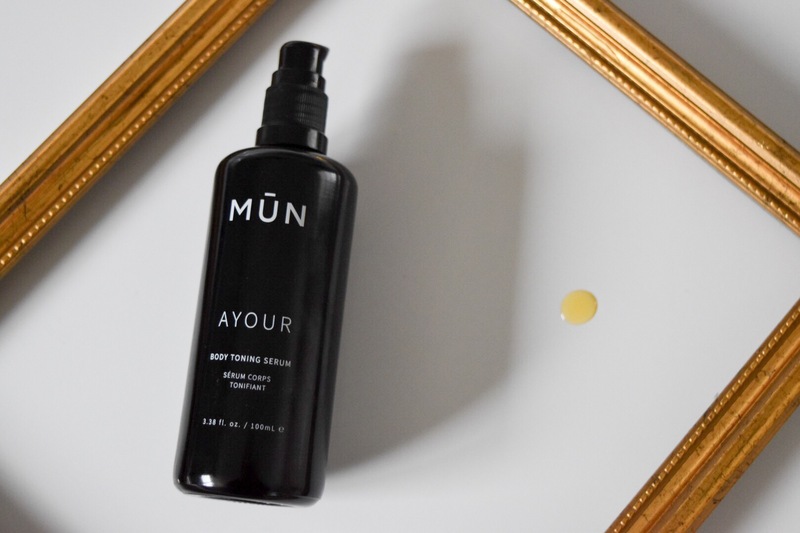 I do strongly believe MŪN has done a remarkable job tying all their products from face to body together – creating a wonderfully minimalist and soothing routine from start to finish. And so far… I’m pleasantly pleased with the results. 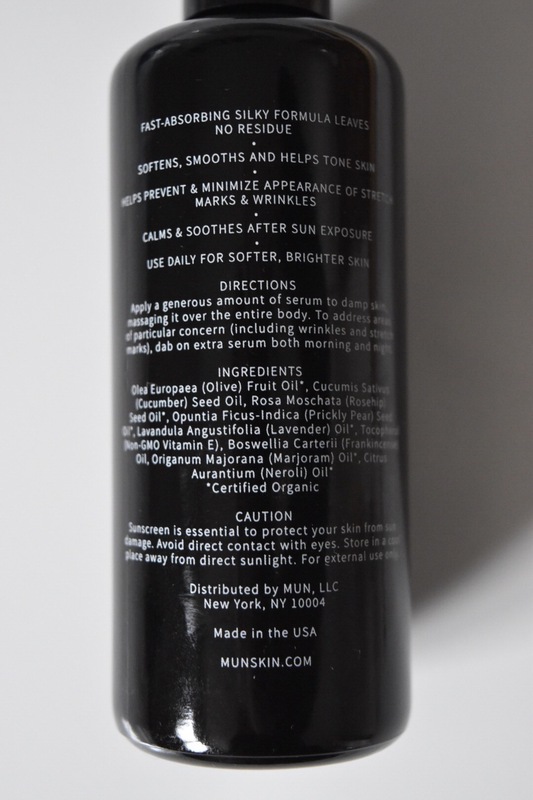 You can purchase MŪN products directly from their website www.munskin.com. 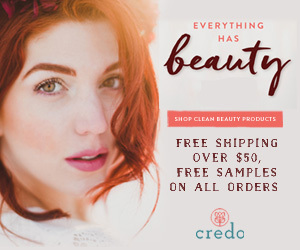 If you subscribe to their emails, you will receive a 10% off code to save you some money! Thank you! I absolutely agree, and MŪN has such a wonderful, yet simple line. Have you tried either?